The Indian Missions in major Indian diaspora countries have been addressed to facilitate NRI enrolment through distribution of Form 6-A for registration, distribution of material on NRI registration, dissemination of information about ECI/ CEO’s website for proper acquaintance with the process and procedure besides nominating nodal officers for the purpose. The Chief Electoral Officers have since been directed to promote registration of NRIs through dissemination of information and targeted campaign. Increasing NRI registration has been included as one of the objectives set out in the ‘Systematic Voter Education and Electoral Participation (SVEEP)-II’ project document. Under the project ‘Targeted programmes/ communication interventions for registration of NRIs and Service Voters’ have been carried out by the Chief Electoral Officers. It is true that over five million Indian nationals are working in Gulf countries and majority of them are blue-collared workers in labour oriented sectors including construction, industrial sector, transport, supply and service sectors. All the ECR passport holders Indian emigrants, immigrating to 18 ECR countries are required to obtain emigration clearance, under section 22 of the Emigration Act 1983 read with Rule 15 of the Emigration Rules 1983 from the competent authority in India. One of the most important conditions for obtaining such emigration clearance is the Agreement/Employment Contract containing detailed terms and conditions of employment including the wages to be paid. It is required to be signed by the Foreign Employer and intending Emigrant and is to be produced before the competent authority in India for emigration clearance. In such cases the numbers of complaints regarding payment of lower wages or forcing the emigrants to renegotiate lower wages by the Foreign Employers are relatively less. Most of the complaints are received regarding payment of lower wages than the promised quantum of wage when the Indian workers were facilitated by unscrupulous agents in India as well as in the host country. Such emigration bypasses legal requirements like valid visa and valid employment contract containing Minimum Referral Wage (MRW) to be signed by the Foreign Employer and intending emigrant before granting emigration clearance by competent authority in India. As and when such complaints are received from emigrants, stringent action is initiated against the registered recruiting agents by way of suspension, cancellation of their license including forfeiture of their Bank Guarantee. Action is also initiated against unregistered agents, immediately on receipt of complaint by referring such cases to the respective State Governments/ Police Authorities for investigation under Section 10 and 24 of the Emigration Act 1983 and prosecution sanction is granted on priority under section 27 of the Emigration Act 1983, on receipt of such request from State Police Authorities. India has entered into Memorandum of Understanding on employment of workers (MoU) with the major labour receiving Countries for ensuring protection and welfare of our emigrants by incorporating better terms and conditions of employment. Such MoUs have been entered into with the five Gulf countries including Qatar, United Arab Emirates (UAE), Kuwait, Oman, Bahrain and an Agreement on Domestic Sector Workers has been signed with the Kingdom of Saudi Arabia. Under the above MoUs/ Agreement periodical Joint Working Groups (JWG) meetings are held to sort out the issues arising out of employment of Indian workers in Gulf countries. However, there is no statutory system of minimum wages in the labour market of most of the Gulf countries. It is regulated by the market conditions and depends on the agreement between Foreign Employers and the Emigrant. On the advice of the Ministry, the Indian Missions in ECR countries including Gulf countries have put in place a system of Minimum Referral Wages for all categories of workers by taking into account working conditions, cost of living, inflation conditions, local employment market conditions, etc. in the host countries. Employment Contracts are based on such MRWs or higher wages. Ministry also asks Indian Missions to revise the MRW, if or whenever required and such MRWs are published by the Indian Missions every year. The number of Emigration Clearances granted to Emigration Check Required (ECR) passport holders’ emigrants going to ECR countries as low-skilled/ unskilled workers is 55950, 60501 and 57085 during the last three years i.e. 2011-12, 2012-13, 2013-14 respectively. The number of Emigration Clearances granted during the current year, upto 31st October, is 46793. There has been a marginal rise in the total number of Emigration Clearances granted to emigrants going to Emigration Check Required (ECR) countries. In the year 2013-14 the number of Emigration Clearances granted is 820947 slightly higher than that of the previous year 2012-13 that was 776672. The Minister of State in the ministries of Overseas Indian Affairs & External Affairs General (Retd.) 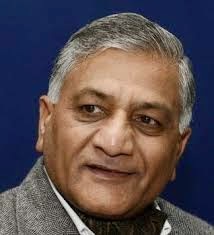 V. K. Singh gave this information in reply to a question in Rajya Sabha today. Lok Sabha Speaker Smt.Sumitra Mahajan today inaugurated Aadhaar registration of Members of Parliament in the Parliament House. Smt. Mahajan got herself registered first by filling the necessary forms and getting photographed. Shri Rajiv Pratap Rudy, Minister of State for Parliamentary Affairs, Shri Bhagat Singh Koshiyari and Shri Saugat Roy, both MPs were among the others who registered themselves for issue of Aadhaar Card. The five day camp is being organized by the Ministry of Parliamentary Affairs in association with the Secretariats of Lok Sabha and Rajya Sabha. Registration is open between 10.00 am and 6.00pm on all working days till December 17, 2014. Shri Anoop Mishra, Secretary General(Lok Sabha), Shri Afzal Amanullah, Secretary (Parliamentary Affairs) and Shri V.K.Madan, Director General, Unique Identity Authority of India were also present on the occasion. In order to address the issue of shortage of IAS officers in Regular Recruitment quota, the Government has increased annual intake from 55 in Civil Service Examination (CSE) 1998 to 180 in CSE 2013. Further, the Government has sensitized the States Governments to send complete and updated proposals to Union Public Service Commission for selection of suitable officers for promotion quota of IAS. Further, no proposal to permit lateral entry into Indian Administrative Service (IAS) is currently under consideration of the Government. This was stated by the Minister of State for Personnel, Public Grievances & Pensions, Dr. Jitendra Singh in a written reply to Shri Avinash Pande in the Rajya Sabha today. It has been decided to use an AADHAR Enabled Bio-metric Attendance System (AEBAS) in all offices of the Central Government, including attached / sub-ordinate offices, in India. An Office Memorandum dated 21st November, 2014 regarding introduction of AEBAS by the Government has been issued in this regard. The system will be installed in the offices located in Delhi / New Delhi by 31st December, 2014. In other places this will be installed by 26th January 2015. The manual system of marking of attendance will be phased out accordingly. This was stated by the Minister of State for Personnel, Public Grievances & Pensions, Dr. Jitendra Singh in a written reply to Smt. Ambika Soni and Dr. T. Subbarami Reddy in the Rajya Sabha today. The Whistle Blowers Protection Bill, 2011 was passed by the Lok Sabha on 27th December, 2011. The Bill as passed by the Lok Sabha was finally passed by the Rajya Sabha on 21st February, 2014 and received the assent of the President on 9th May, 2014. As the Bill was taken up on the last day of the last Session of the 15th Lok Sabha, the official amendments to the Bill (aimed at safeguarding against disclosures affecting sovereignty and integrity of India, security of the State, etc.) were not moved. The proposed amendments are of crucial nature and, therefore, the Act can be brought into force only after necessary amendments are carried out. Rules under the Act can be notified only after the Act is brought into force. While there are media reports that some persons have been victimized, assaulted or killed allegedly for their role as RTI activists / whistleblowers, however, the same could not be confirmed. In so far as complainants / whistle blowers under the Public Interest Disclosure and Protection of Informers Resolution (PIDPIR) is concerned, the Central Vigilance Commission (CVC) has informed that, as the designated authority under the PIDPIR, it has not come across any incident of killing / attack of the complainant since May 12, 2014. As per information furnished by the CVC, only two complaints regarding alleged harassment / victimization have been received by CVC from complainants under the PIDPI Resolution since May 12, 2014, i.e., one received on 13th May, 2014 and another received on 30th September, 2014. This was stated by the Minister of State for Personnel, Public Grievances & Pensions, Dr. Jitendra Singh in a written reply to Shri D. Raja in Rajya Sabha today.